The 86th Academy Awards took place yesterday with luminaries from the world of cinema gathering together to honour the actors, movies and technical achievements in film in 2013. 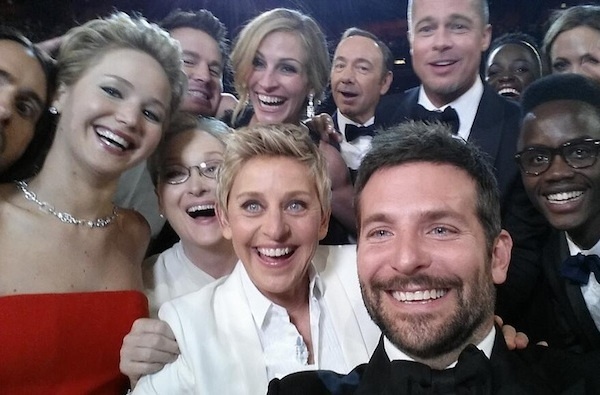 The event was hosted by Ellen Degeneres who made extensive use of Twitter to share updates and photos via her @TheEllenShow account, with one celebrity-packed selfie in particular being retweeted more times than any other tweet shared on Twitter. Taken by The Hangover star Bradley Cooper, the selfie featured such heavyweights as Jennifer Lawrence, Brad Pitt, Angeline Jolie, Julia Roberts, Meryl Streep, Lupita Nyong’o, Kevin Spacey and Degeneres herself, before being shared on her Twitter profile. At the time of writing Ellen’s tweet has been retweeted more than 2.3 million times, and counting. Indeed, activity around the tweet and the Oscars was so heavy that Twitter experienced a 25-minute slowdown. 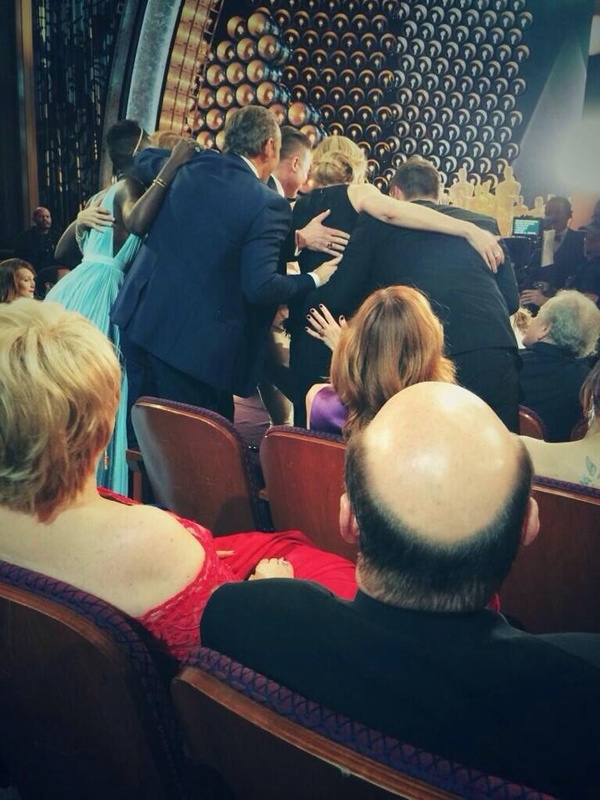 And in case you’re curious, here’s a photo from the other side of the selfie.